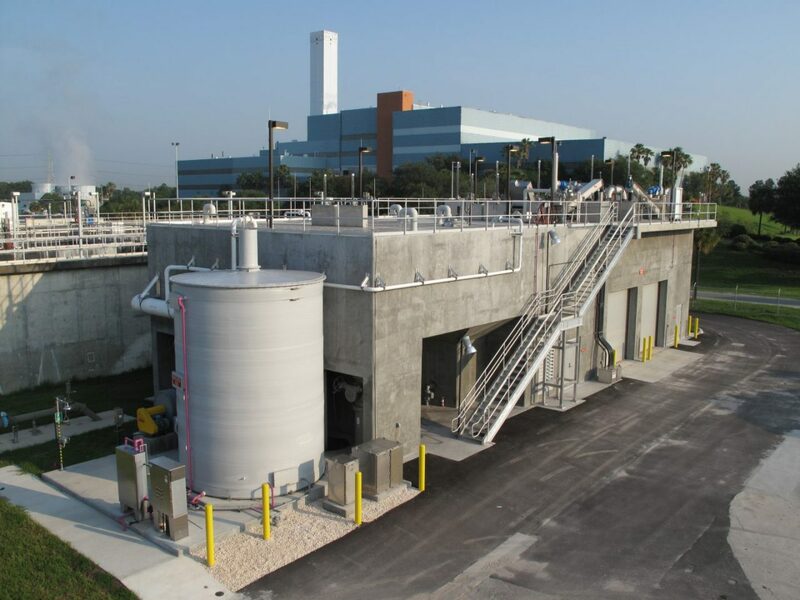 Falkenburg Advanced Wastewater Treatment Plant (WWTP) Expansion | Wharton Smith, Inc.
With unprecedented growth in Hillsborough County during the past few years, expansion to the Falkenburg WWTP, among other county plants, has become a priority. 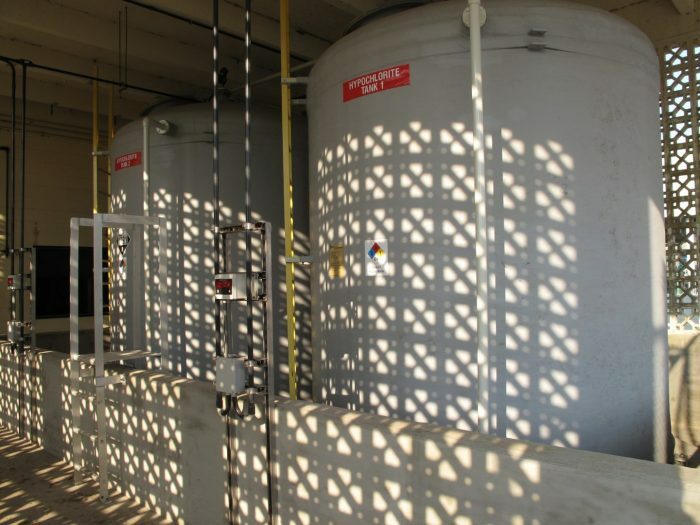 This $31 million expansion consisted of UV disinfection, a new headworks structure, including an odor control system; the replacement of eight existing aerators with new higher capacity units, including variable frequency drives; the construction of a 100-foot clarifier; converting the existing chlorine system to a new sodium hypochlorite; converting the existing chlorine contact chamber to a state-of-the-art ultraviolet disinfection system; and the construction of two new 9-million gallon reject water storage tanks, including a reject pump station. 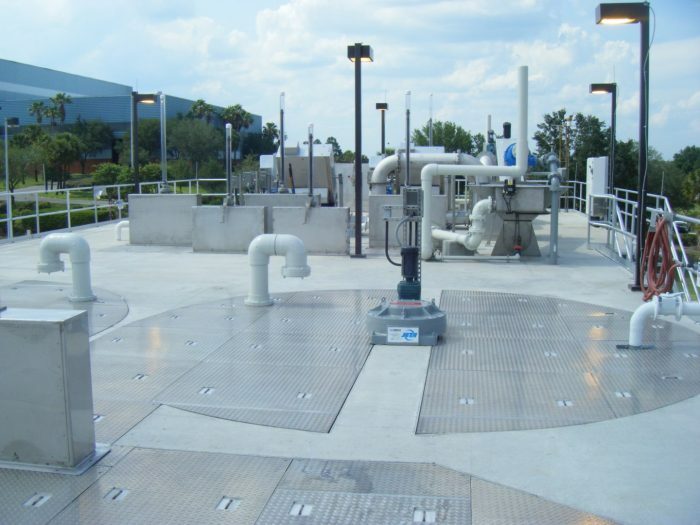 Three emergency generators and automatic transfer switches were also added and upgrades to the existing reclaimed water and plant service water pump station were completed, as well as upgrades to the plant Supervisory Control and Data Acquisition (SCADA) and security camera, associated site work, and electrical and instrumentation and controls. This expansion, along with others throughout the county, should help to meet the needs of the community for the next decade.